The theme of this bingo card is Valentine's Day. 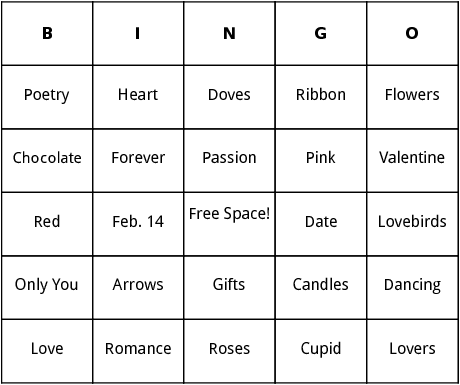 Use this page to download printable bingo cards that contain words like "Love", "Red", "Roses" and "Cupid". You can exclude words by removing them from the word list or add more words as you see fit.